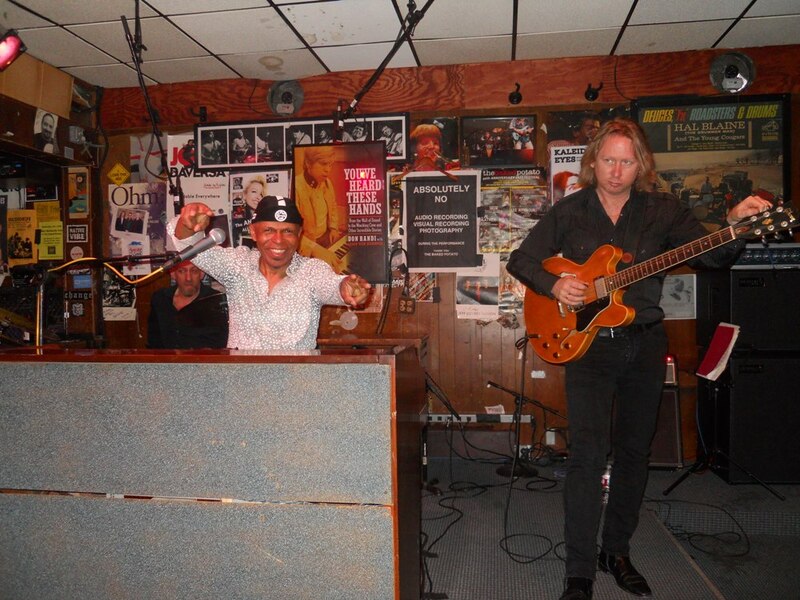 Ronnie Foster Sets Organ Ablaze in Smokin' Rare L.A. Concert - TheUrbanMusicScene.com | Music Reviews! I first got turned onto Ronnie Foster when he was part of George Benson’s incomparable mid-`70s Breezin’ band trading electric keyboard and acoustic piano chairs with the late, great Jorge Dalto. From that association I appreciated Ronnie not only as a player but also a composer (“Lady,” “The Wind and I”). Even though I eventually heard his earlier Blue Note solo LPs on which he was featured on organ and his post-Benson work primarily on Fender Rhodes, I’ve always thought of Ronnie as a sideman who came up thanks to a high profile situation. 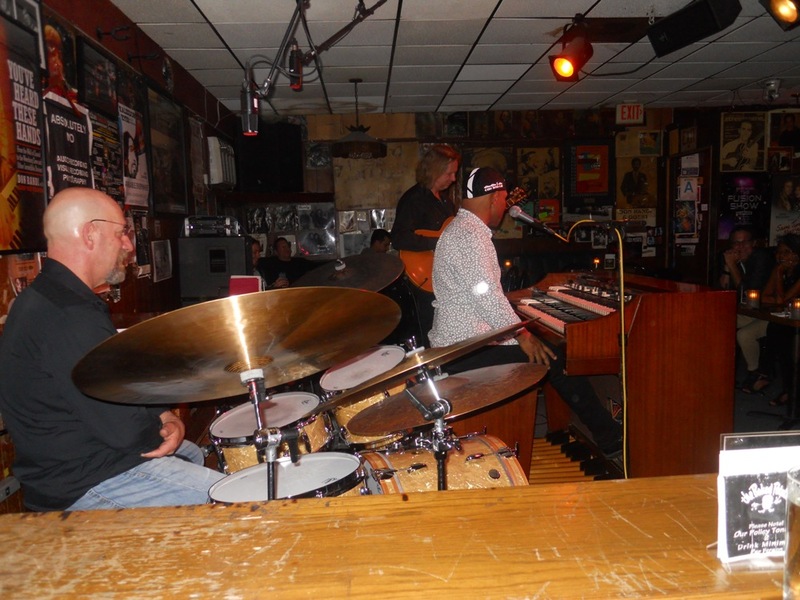 That is until last weekend when I FINALLY got to see him in person – in close quarters – leading his own classic organ trio of guitar and drums. Lord have mercy… I’ve been telling everybody ever since that I arrived that night intending to enjoy ONE SET, wound staying for TWO SETS and if there had been a THIRD SET…I would have been all up in it like folks back in the day. 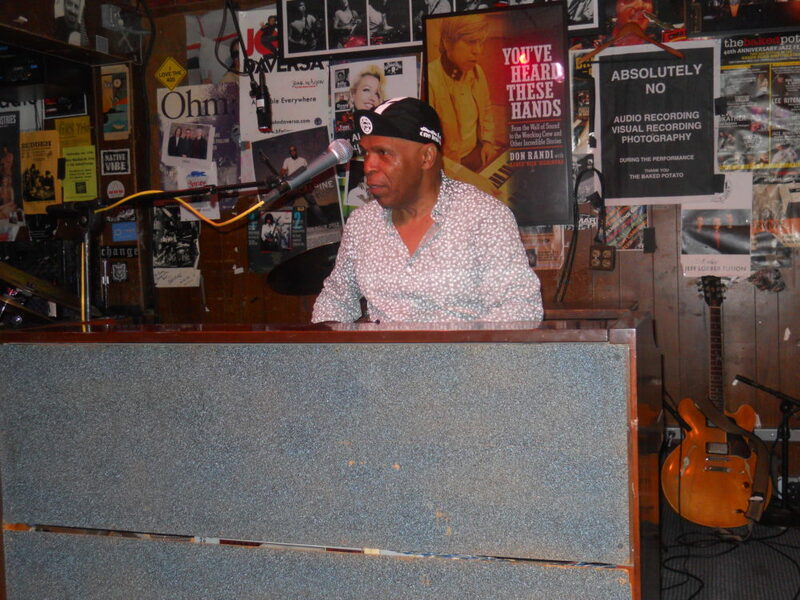 I’ve seen a lot of live music in my life and times but Ronnie Foster – recipient of the 2016 Jazz Organ Federation Award – BLEW ME AWAY…and that is TRULY hard to do. Since that weekend marked the birthday of Stevie Wonder – a close friend of Ronnie’s – he began his set with one of Wonder’s many love notes to Brazil, “Bird of Beauty.” From the downbeat, everybody was on the one with solos all around for Ronnie, guitarist Jake Langley and drummer Jess Gopen. I was immediately struck by the realization that Ronnie had worked a very special blessing to his favor – the ability to keep a band together for an extended period of time. These cats were so tight and well-rehearsed that they could take the music anywhere they desired to take it. Most often, that was to outer space and back! As cool as the opener was, it did not prepare me for the second tune “Blues for J,” a tribute to the king of jazz organ Jimmy Smith. Following a beautiful solo from Langley of deft picking that concluded with perfectly thumbed octaves a la Wes Montgomery, Ronnie rocked a solo within this laidback swing that had me shaking my head in disbelief and literally brought tears to my eyes. He played as one with the instrument, working every key and sound stop with fire and mastery that was mind-boggling. If he could have flipped that bad boy over and played it upside down he would’ve – but what he did wrestle outta that rascal more than sufficed. It was right then I knew I was `bout be up in the Baked Potato all night. Another moment of Nirvana came next when the trio fell into a second Jimmy Smith classic “O.G.D.” (a famous Smith/Wes Montgomery collaboration) and a second tribute to birthday boy Stevie with a sexily pocketed blues walk through “Isn’t She Lovely.” The brisk funky swing of “J.R.J.” was an original composed by the trio as a collective and was followed by Ronnie’s late `70s disco tune “Feet” which showcased young guest alto saxophonist Julian McCoy (who Ronnie has known since he was a kid). The generous 10-song set was concluded with an intricate new composition entitled “Knock-Knock” marked by shifting time signatures and an appropriately masterful drum solo by Gopen. I stayed for a second set of eight more completely different tunes – many from the trio’s soon to be recorded and released CD, Reboot. With titles like “Carlos” (a tribute to guitarist Santana), a mash-up of Michael Jackson’s “The Way You Make Me Feel” and Stevie Wonder’s “Living For The City,” a mash up of Country & Salsa wittily titled “Big Farm Boy Goes To Latin City,” and “Fingerlero” (which George Benson beat Ronnie to the punch of recording first on 2011’s Guitar Man), each song proved inspired and inventive takes in need of hearin’ to be believed. Ronnie Foster made a fierce believer out of me. I HIGHLY RECOMMEND that if you ever open a newspaper and see that Ronnie’s organ trio is playing anywhere near your town, make it your business to be there. There aren’t many organ masters still roaming the planet. Brother Foster is the best and extremely addictive.